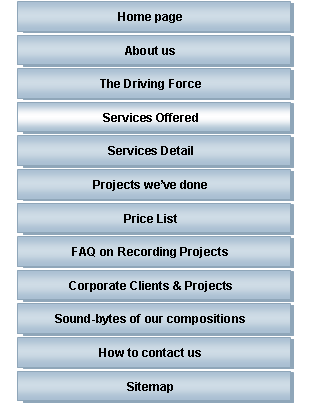 Composed to specification, encompass– sing all genres. We create soundtracks for Film & Television, Musicals, Advertising , the Record industry and special occasions for private individuals (e.g. birthdays, anniversaries, etc.) Extremely quick turn-around time. Includes graphic design of logos, etc, lay-out of publications, hard or soft copy, 3D animated designs. Professional, broadcast quality videos, including entire cycle; videography, graphics, scripting and final editing. Original copy and music created for any product or situation. We record your meetings, Disciplinary hearings, conferences, and provide transcripts of the entire spoken content. Synopsids reports also produced, when required. Professional event photography including editing, when required. Whichever service it is that you decide to use us for, rest assured that you will always receive extremely high standards and fast turn-around time, at competitive rates.